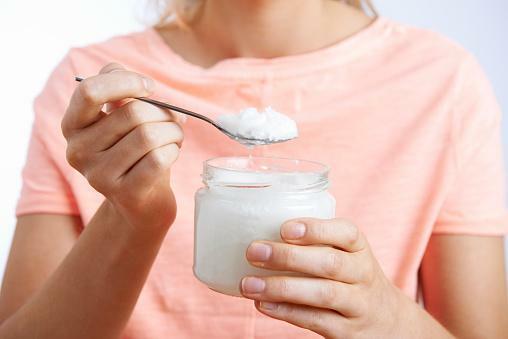 There have been rumors in the beauty world that you can use coconut oil to make your hair grow quickly. Currently, there isn't enough scientific evidence to prove this but using it from time to time may help create healthier hair that breaks less and grows well. It adds a healthy glow to your locks. 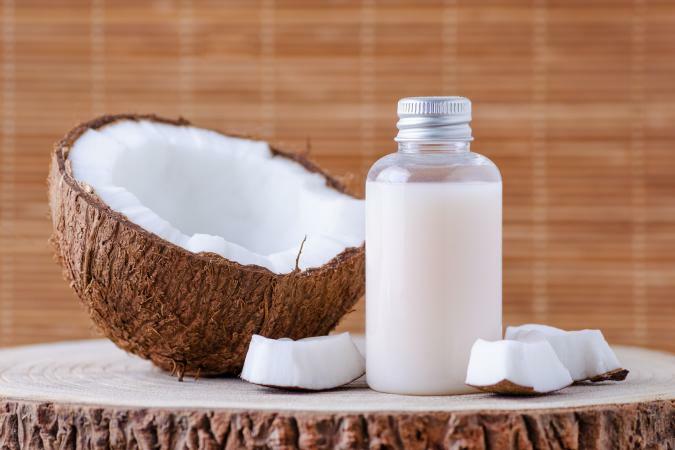 This is because coconut oil's fatty acids penetrate inside the hair shaft, thus reducing protein loss. You can use coconut oil on your tresses in a number of ways that may help give you healthier hair that can result in less breakage and better growth. Mix all the ingredients in a bowl, apply to dry tresses, and leave on for 15 to 20 minutes. Shampoo and condition hair as normal. The coconut oil moisturizes your scalp and hair, the olive oil conditions them, and the gelatin helps to repair any damage due to it being rich in protein. Additionally, coconut oil can be used as an overnight hair mask. According to experts, this method will give you the maximum benefits. All you have to do is apply it before bed onto your dry tresses and wash it out in the morning. It's an intense treatment that will make your hair feel soft and look shinier. However, be wary if you have sensitive or oily skin, because coconut oil can clog pores around the hair line. A lot of conditioners currently on the market contain coconut oil because it is mainly used as a conditioning treatment. Having well conditioned hair and scalp can prevent breakage and split ends, and it may help hair grow better. You can choose to use it straight from the jar and apply it onto wet tresses while you're in the shower. However, only use a small amount in this instance. Otherwise it might be too intense and weigh your hair down. Your best bet is to buy a conditioner that has coconut oil as an ingredient and shampoo and condition your hair as normal. Furthermore, coconut oil works excellently as a styling agent to tame frizz, which can also reduce breakgate and give your hair the appearance of quicker growth. Merely add a small amount to the ends of your hair for a polished and refined aesthetic. It also protects your tresses from heat-styling and humidity in hot climates. If you're unsure about using solid oil on your locks, you can use a balm product that uses coconut oil as an extract. It makes your hair line oily, which may cause acne. It's a quick fix for damaged hair but won't ultimately solve the problem. Too much pure oil can irritate the scalp. Therefore, be careful when it comes to how regularly you're using coconut oil and consider reducing the intensity if you notice any issues. Even though coconut oil hasn't been proven to make your tresses grow faster, it is a great way to promote healthy hair growth. Simply use it as a conditioner, leave-in treatment, frizz-tamer, or hair mask to find out which method works best for you, and you'll soon find that you have shinier, softer, and more manageable locks.